Did you know that the Chamber of Commerce has been doing a formal study of the local hotels and their occupancy rates, since August 2018? We’re thinking most of you didn’t, so that was why we thought we’d do a little reporting on what’s been learned so far. Boulder City and its business community have often struggled with a lack of hard data. This harms the community, in that individual businesses as well as city government have to make decisions in the dark – less than ideal. It’s also been a struggle because in case you didn’t know, there’s a pot of money out there for communities in the state of Nevada to help market their communities to attract tourists. The entity that controls most of this is the LVCVA, the Las Vegas Convention and Visitor Association. Guess what? One of the things a lot of us love about our little oasis in Boulder City is that we don’t have gaming. Never have. But that fact tends to penalize us in the eyes of the good folks at the LVCVA. Their metric is what they call, ‘heads in beds’. In other words, is your community (Boulder City) creating reasons for people to come from out of state and stay in our hotels/motels, which generates all of that precious tax revenue? And if you’re following along here, now you see it: we’ve not had those metrics. Councilwoman Peggy Leavitt, who is our City’s representative on the LVCVA has made it her mission to prove to them that we DO bring folks in to stay in Boulder City. But what we’ll tell you after many conversations with a variety of our leaders in town, this has proven to be an uphill battle. That bias against us for no gaming is HUGE. So, now that you understand some of the factors, let’s move on to the details of what this study has shown us so far. 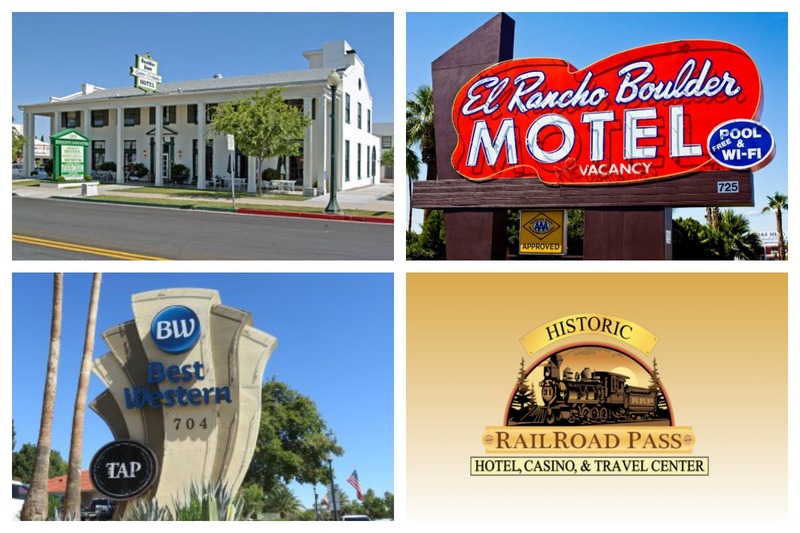 There are basically three tiers in our local hoteliers: a) the largest hotels such as Railroad Pass, Hoover Dam Lodge, and the Best Western b) mid-range hotels such as the Sands, El Rancho, and the Boulder Dam Hotel c) the smallest hotels which are the Oasis, Milo’s Cellar & Inn and the Western Inn. The smallest hotels do have the highest occupancy rates. Not a surprise when you think about it, but the ‘why’ may surprise you. 1. The Data Shows: Most of these smaller hotels are heavily occupied (more than 50%) with long-term rentals. Truth is, we don’t have enough reasonably priced rental apartments or longer temp stay situations for folks. Some of these are contractors traveling to our area for a several month stay. But others work service jobs in town and wish to live here – but they can’t find a permanent rental apartment! So our MOTELS become their HOMES. Ponder that for a minute. **Because of that surprising data, Dale wisely pulled those numbers out of the stats. Therefore the remainder of all of this below is with those long-term rentals removed from the reporting stats. **Note, we have not yet had the Dam Short Film Festival which is known to contribute a lot of stays, so that will be exciting to see! Also not yet visible are the Spring Jamboree and the Damboree events. 3. The Data Shows: During these big events Boulder City’s hotels and motels are actually maxed out! So there is a bigger conversation to be had, and it means that getting these other two motels currently closed should see profits once their remodel (Desert Inn) and ownership (The Flamingo) is settled. The study does not yet cover a complete year, and it will be until the fall before year-over-year numbers can be seen. But we’re glad it’s happening and thought that it was a worthy perspective to share and have folks aware of. What do we want our little town to be in the future? What factors are in play which affect our businesses and therefore our entire community? Lastly, how do we address the needs of a changing business community, keep the town we love, and secure a thriving future for Boulder City?